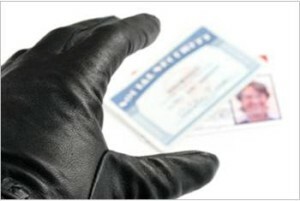 Not all biometric technologies can prevent medical ID theft at the point of enrollment. Understanding biometric patient identification systems requires basic knowledge about how back-end searches are performed and under what conditions. Much to the disappointment of some hospitals, they are quickly discovering that the biometric patient identification solution they invested in does have the capability to prevent medical identity theft at the point of enrollment but can be circumvented by a patient enrolling under multiple birth dates because the search technology they are using relies on 1:Few segmented identification. We encourage hospitals to practice sound due diligence when vetting out different biometric patient identification technologies and ask the right questions about the back end search capabilities, hygiene, system architecture, biometric search speeds, and more. For more information about the differences between biometric search capabilities, please contact us at info@rightpatient.com. through research and due diligence, they are discovering there are choices in what types of solutions to implement. One of the choices is what type of biometric hardware device to use as the mechanism to enroll patients and subsequently identify them on future visits. Since biometric patient identification technology devices are consistently being used day in and day out, and may receive hundreds of touches per day in high throughput environments, it seems like contactless hardware would be a more logical choice to deploy. If a hospital chooses a biometric patient identification system with a hardware device that requires a patient to physically touch a non-antimicrobial surface during use they are obligated to wipe the surface with a disinfectant or sanitizing cloth after each use to support hospital infection control procedures. This can add up to a significant cost in disposable sanitizing wipes, especially for hospitals that see a larger number of patients per year. Let’s take a look at some conservative estimates on how much a hospital may spend on sanitizing wipes if they choose to use a biometric patient identification solution that requires physical patient contact: Number of patients seen per year: 350,000 Price per disinfecting wipe canister (75 count): $8.95 Average price per wipe: $.11 Total amount spent per year on disinfecting wipes: $38,000 Even if you factor in possible bulk purchasing discounts that hospitals are eligible for and reduce by half the average price per wipe to $.06, a medium sized hospital that sees an average of 350,000 patients per year can still spend up to $21,000 per year on sanitizing wipes. Contactless biometric hardware devices like iris biometrics for patient identification would alleviate any hygiene concerns and support hospital infection control initiatives. If you are a hospital or healthcare system investigating biometric patient identification systems, it’s important to factor in whether they support hospital infection control initiatives as part of your due diligence.